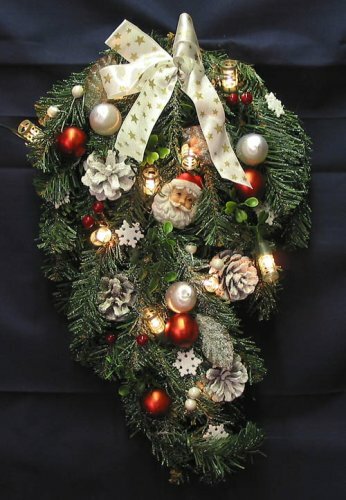 This artificial Christmas Pine Bough will look great on your door or wall this holiday season, and for many more to come. Pine Bough comes with Pinecones, Christmas ornamental balls and stars, Santa Faces and 10 lights. If you have any questions about this product by KFK, contact us by completing and submitting the form below. If you are looking for a specif part number, please include it with your message.